Maybe you haven't been to church in years, or are just starting to explore faith. Perhaps you are a life-long follower of Jesus. Whatever your background, come as you are and find joy in your faith at Elmbrook Church. What you can expect at Elmbrook: A warm welcome. Great programs for kids and students. Engaging worship music. People who want to hear your story. Teaching straight from the Bible — every bit as relevant today as it ever was. What you won't find at Elmbrook: Perfect people who have it all figured out. 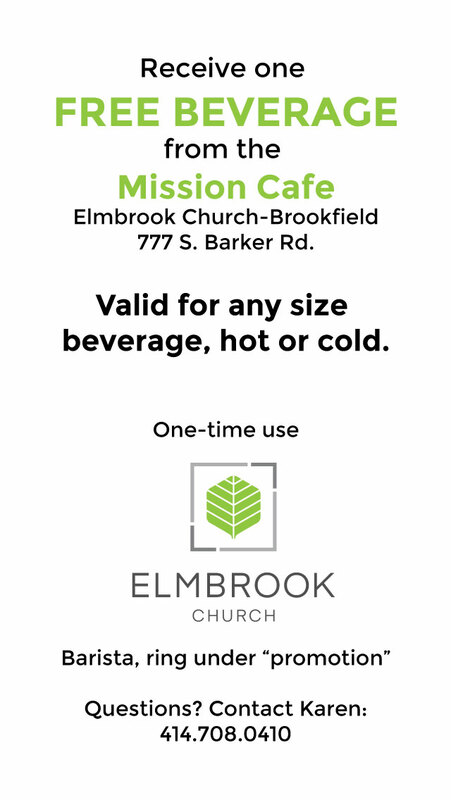 Your favorite treat at the Mission Café is FREE next time you visit Elmbrook Church (Brookfield campus). Download your coupon here, and show it to the barista on your phone. You can also print it out if that's more convenient. The best way to make Elmbrook feel like home is by meeting others. Introduce yourself to someone sitting near you before or after service. Grab a free cup of Colectivo coffee in the lobby and say hello to someone new. Better yet, stop by the Welcome Center after a service to meet friendly folks who are eager to answer your questions. Stop by our Welcome Center after any service to meet friendly folks who are eager to answer your questions. Ask for a building tour... we'd love to show you around! "How should I dress?" You'll find people wearing casual wear, dress clothes, and everything in between. Come as you are. "Do I need to bring anything?" If you have a Bible, bring it with you! Bibles are also available in the pew racks. "Can my kids be in the service?" Children are welcome. We also offer terrific age-specific kids programs during every service, and if your child gets restless, Family Rooms located on each level let you watch the service together as a family. We love kids! Excellent programs are offered during all weekend services for kids birth through fifth grade. If it's your child's first time joining us, stop by our First-Time Family Check-In a few minutes before service. One of our friendly volunteers will get your kids checked in and walk you to the Worship Center. We have awesome gatherings just for middle school and high school students. We hang out, worship God and dive into the Bible to see what it has to say about how we can live our lives well. Middle school meets Sunday mornings for SundayAM at the Brookfield campus, and 6pm Wednesday for WednesdayPM at the Lake Country campus; high school gathers for The Elm at 7pm Wednesday nights at our Brookfield and Lake Country campuses. Choose from six services at three locations. Each weekend service lasts about 65 minutes, and includes high-energy worship, followed by relevant teaching from the Bible. 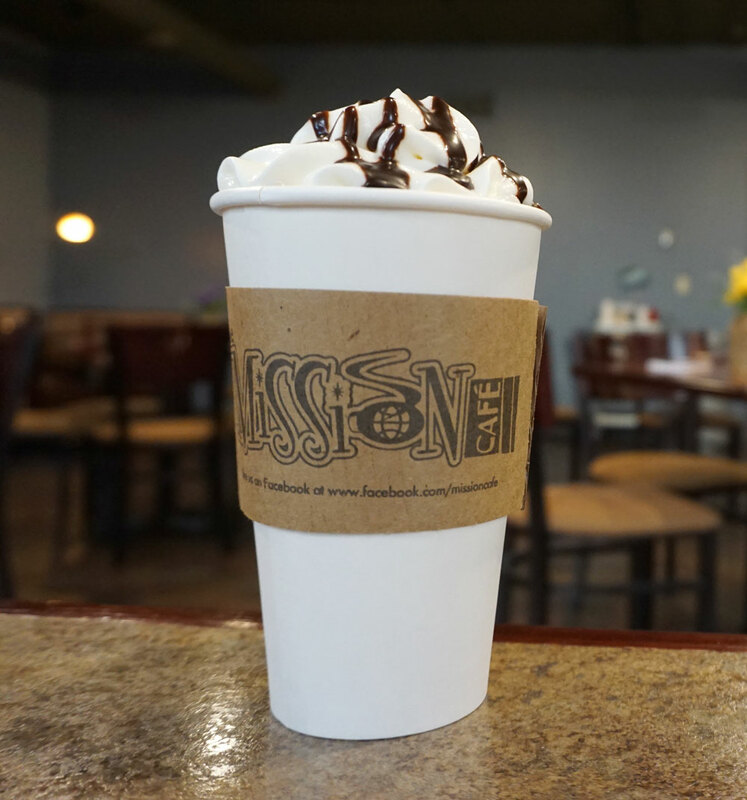 Come early and grab some free coffee on Sunday mornings! Sign up to tour our 300,000 square ft building on Sundays at 11am.